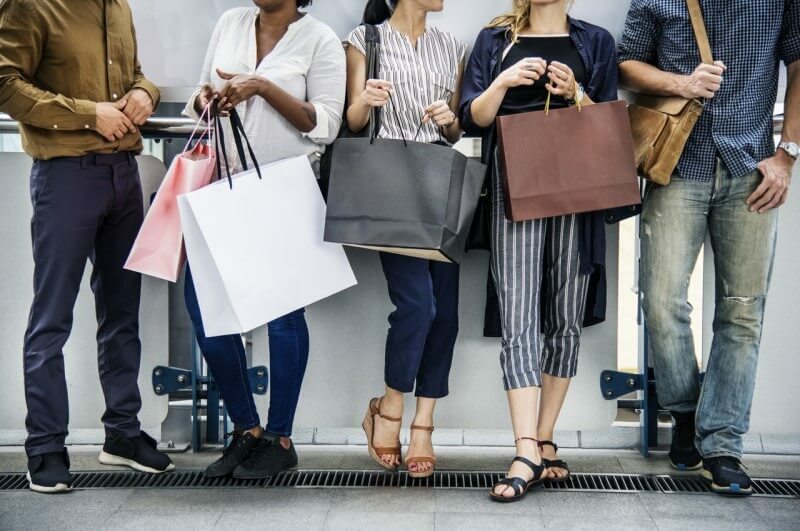 Similar to athletes and world championship competitions, it’s becoming ever clearer that retailers, too, have a specific time of year they work towards – a handful of days that potentially bring them more sales than months do. For example, the American Thanksgiving is marked by two major retail events that have spread across the world: Black Friday and Cyber Monday. Events where amazing deals are offered to consumers in time for their Christmas shopping. Then there is the lesser known (but much more formidable) event Singles’ Day. Invented by Chinese college students, 11/11 was picked as the perfect date to celebrate being single as it is seen to represent four single people. What does Singles’ Day have to do with retail you might ask? In 2009, the Chinese giant Alibaba launched its first edition of promotional campaigns around this day, encouraging consumers to treat themselves as a celebration of celibacy. Over time, Singles’ Day has grown exponentially in importance to become the retail event of the year, even influencing markets outside of China. No matter where you are, there is a good chance that you have encountered incredible offers surrounding Black Friday, Cyber Monday and potentially Singles’ Day. Therefore, it probably comes as no surprise when you hear of the sales generated by them. Indeed, in 2017 US retailers earned a whopping 7.9 billion USD on Black Friday. In Europe, the trend is picking up as well. In the UK, for instance, consumers shop 3.2 times more on Black Friday than on regular days. The industries using Black Friday as a selling argument are countless, from the fashion industry to gaming and electronics. The same trend can be observed for Cyber Monday, considered to be the Black Friday equivalent for online purchases. This year, Black Friday and Cyber Monday together generated 13.9 billion USD in online sales. Then there’s Singles’ Day. This year the sales record for Alibaba alone hit 30.8 billion USD. In fact, within less than 10 years, the number of items sold on Singles’ Day has already become twice that of Black Friday and Cyber Monday combined. We believe this is just the tip of the iceberg however, as Singles’ Day has already started gaining traction in Southeast Asia as well as Russia and Pakistan. We observed the might of Singles’ Day first hand, with significant increase in traffic and revenue tracked by our technology. In one client segment, we successfully tracked a 10-fold increase in the conversions generated on 11/11. For one of our retailer clients, specifically, we tracked over a million conversions on this day alone, spread across their 900 partners globally. What does it means for retailers and their affiliates? With the rise of Singles’ Day, we foresee even more potential for retailers, and their affiliates, that November now represents. Not being part of Singles’ Day promotions means missing out on a great business opportunity, and leaving a bigger piece of the pie to competitors. We recommend adding Singles’ Day to your event calendar and planning your marketing campaigns for it, in addition to your existing Black Friday and Cyber Monday preparations. As consumerism moves ever closer to gigantic sports-like retail events, retailers and affiliates must ensure that their technology can cope with such peaks while ensuring the most accurate picture of their performance. At Ingenious Technologies, we partnered with Google Cloud to ensure a highly robust scalable infrastructure for our clients, able to meet these demands with ease. Furthermore, our first-party tracking approach ensures the high accuracy of data collected, unaffected by the growing restrictions applied by browsers. This combination ensures that Ingenious customers focus on their marketing campaigns and not on infrastructure or availability. So, is your technology ready to handle Singles’ Day, Black Friday and Cyber Monday next year? Technology that doesn’t fail to deliver during your major retail events.